Congratulations on your decision to embark on life’s most euphoric winter activity! Luckily, learning to ski is a simple process that anyone can do, regardless of age or athleticism. While nearly every ski area on the globe offers a ski school and a lesson of some sort or other, there’s no question that some resorts are more inviting and nurturing for those of you just launching into your foray of skiing or snowboarding. Here are some of our top picks of winning resorts for beginner skiers, each equipped with a vast ski school for every type of learner. If any of the beginners in your crew happen to be young kids, you have found your No. 1 choice of resort. 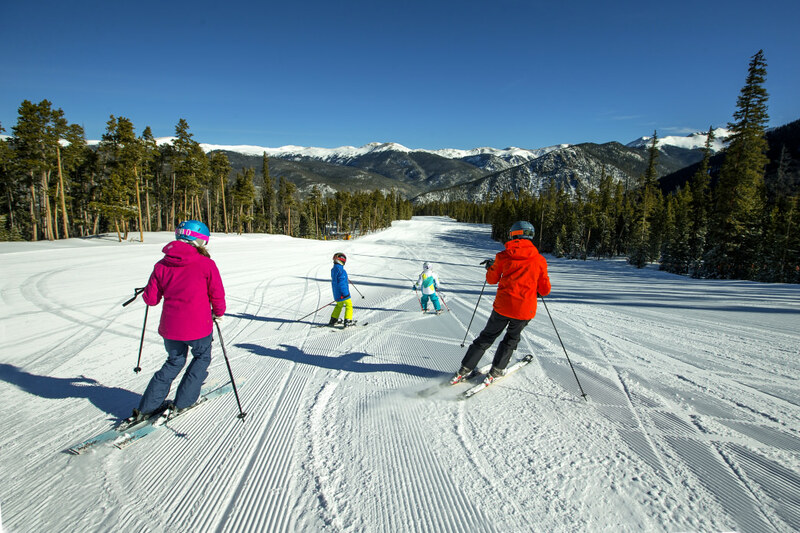 Besides the cornucopia of gentle, wide open trails and learning areas, Keystone also offers free lift tickets for children 12 years and younger with a two-night lodging reservation. 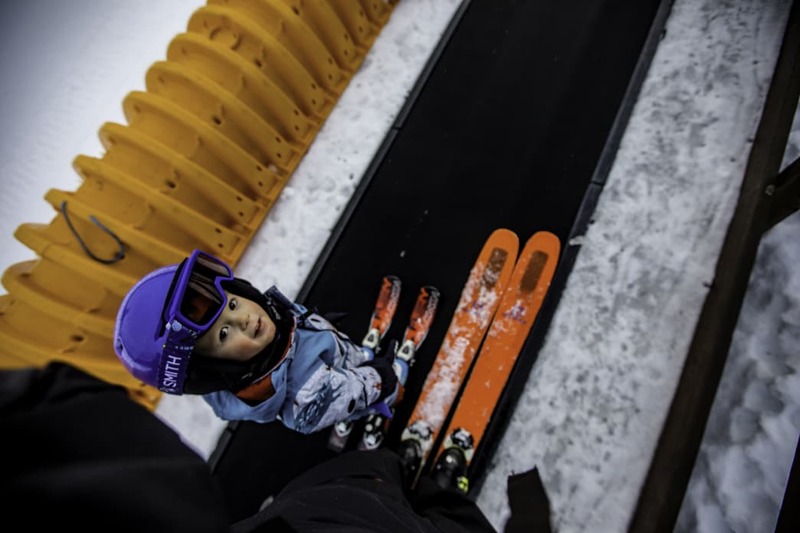 When the little ones aren’t learning to ski (even when you are), there is a massive snow fort to explore at the summit and a slew of kid-oriented events and activities called Kidtopia, which ranges from parades through the base area to culinary lessons and live music for the whole family. Keystone is also home to some of the best restaurants in western America, a couple of which are located at the top of the mountain and come with cozy, night-time gondola rides. Occupying its own quiet corner of winter paradise, Beaver Creek is a place to park and stay, luxuriating in its self-contained village for your entire trip while also learning to ski from some of America’s top instructors. The village is home to a variety of award-winning restaurants, lively bars, an ice rink, and a performing arts center that hosts internationally lauded musicians, theater performances and comedians all winter. 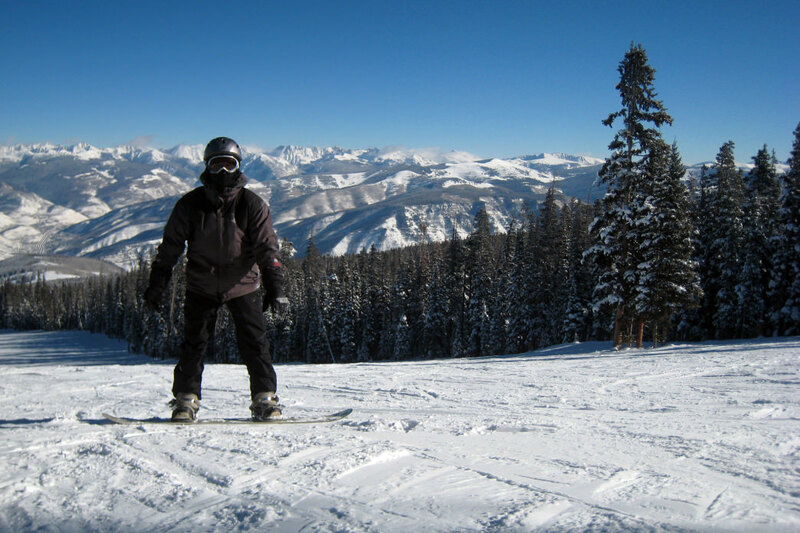 There are beginner ski areas situated throughout the resort, including the quiet, high elevation green trails under the new Red Buffalo Express Chairlift, with stunning views of the Vail Valley and surrounding peaks. Another huge bonus? Beaver Creek’s central bunny hill is serviced by its very own gondola. 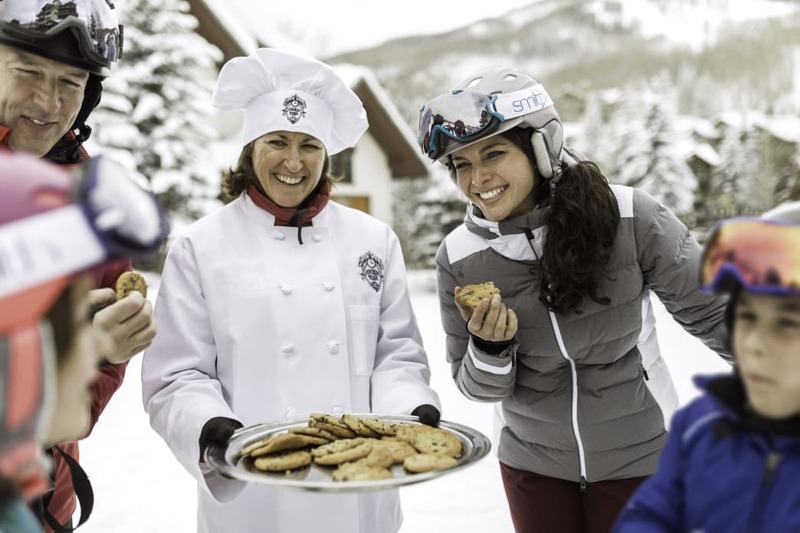 Lastly, every day at 3 p.m., a number of bakers converge on the base area slopes with silver platters of steaming, fresh-out-of-the-oven chocolate chip cookies. Besides being home to America’s largest ski resort, Park City is also a charming and historic mining town with countless shops, bars, restaurants and an authentic, rustic-chic glimpse of the Old West. The impressive cadre of ski school options is renowned, and nearly one-fifth of the resort’s sprawling terrain is well-suited to beginners. Many of the mildest trails stem directly out of the main Park City base area off of the First Time chairlift. Even if it’s not your first time, this is an optimal area on which to rekindle your groove. Once you’re comfortable making turns and feel you’ve got some stamina, Park City comes with a built-in bonus challenge for beginners. The longest run at the resort—Home Run, measuring 3.5 miles—is a wide, easy green trail and the ultimate, rewarding way to work your way from top to bottom once you’re ready. The largest resort in California, Heavenly has dedicated 20 percent of its terrain to beginners. 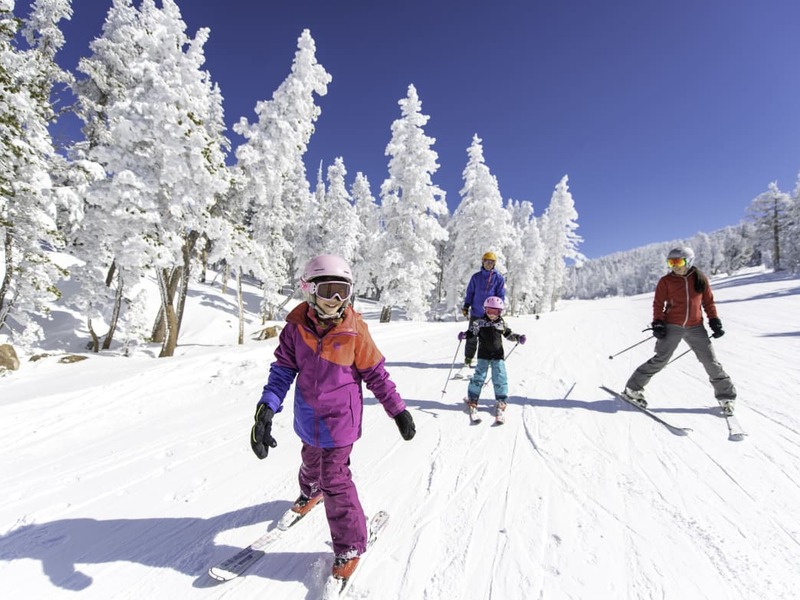 You can even tell all of your friends that you skied in two states on the same day, as the resort boasts learning areas in both its California and Nevada base areas. On the California side, the beginner exclusive area is situated under the slow-moving First Ride triple chair and is comprised of a wide open, flat-ish valley marked with encouraging signs along its gentle slope. On the Nevada side, beginners get their very own bowl to explore. Boulder Bowl, situated conveniently next to Boulder Lodge, is a sprawling field of low-angle learning terrain. Adventurous beginners also have the option of taking the Aerial Tramway and Powderbowl Express chair to the top of the resort where green trails like Maggie’s allow for breathtaking views of Lake Tahoe. This Tahoe resort is popular with families of all skier levels because of its one-stop-shop allure. Once you arrive at Northstar, you have everything you need within easy walking distance. The self-contained village features an ice rink, fire pits (free s’mores! ), a broad selection of shops, bars and restaurants, and even a movie theater. Plus, get this: There are about 100 total runs at the resort, the majority of which fall into the gentle (beginner and intermediate) category. Northstar’s milder terrain is also naturally separated from its steeper terrain, with the majority of its easiest trails (marked green) conveniently accessed off of Big Springs Express Gondola. As the largest ski resort in all of North America, Whistler Blackcomb’s sprawling terrain includes many gentle slopes for skiers and riders in their early stages of comfortable gliding and turning. If you are venturing onto the hill for the very first time, the welcoming Yellow Brick Road near the base of Blackcomb is an ideal spot to feel out your glide. Here a pair of non-threatening tow lifts take you to the short, smooth slope designed expressly for learning. Naturally, at a place as big as this, beginners are certainly not restricted to just one quiet base area. After a ride on the Whistler Village Gondola, Olympic Station is home to a huge Children’s Learning Area and an opportunity to explore the mild Green Acres area for families located still higher up the mountain. Find the mountain that works best for you and give it a try. You may find that winter is a lot more fun when you’re spending it on the slopes.